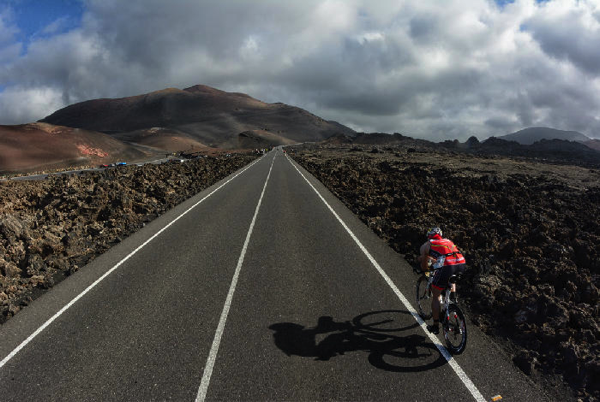 Conditions in Lanzarote were pretty normal for this year’s race: hot and windy. This is reflected in a normal swim time, a very slow bike (-18:40, but normal for Lanza) and a run that was a little bit slower than what is usual (-1:27, about three minutes slower than normal). Romain Guillaume took control of the race in the bike, and then went ahead and posted a solid sub-three marathon to win the race. Miquel Blanchard ran through the field with a 2:48 run split and finished in second place again. Third place went to Bert Jammaer. There were quite a lot of notable DNFs. Among them are Markus Thomschke, Michael Goehner, Scott Neyedli, and Ronnie Schildknecht — all were hoping to secure KPR points and will have to re-think their qualifying strategy. There were two surprise leaders after the bike: Stefanie Adam (in her first race as a Pro) and Susan Blatt posted the best bike splits. Stefanie faded a bit on the run finishing sixth, but Susan held on for second place. She was run down by Lucy Gossage who methodically worked her way to the front. 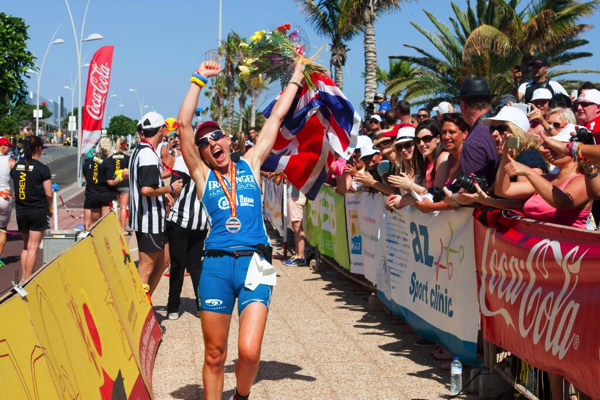 Third place went to Corinne Abraham who had a solid race after her prolonged injury in the second half of 2013. Last year’s winner Kristin Moeller was too far back after the bike to challenge for the win. The other athlete returning from an injury was Sonja Tajsich who was happy to finish a race, even if it was in eight place – apparently she had some technical problems on the bike. 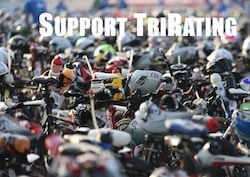 Photo Credit: Michael Rauschendorfer (Twitter feed of tri2b.com) and Twitter feed of Kevin MacKinnon.